Slow traditional methods of house stumping require heavy hydraulic jacks, packers and complicated machinery. One person with three simple tools can easily adjust LevelMaster house stumps, saving you time and money. 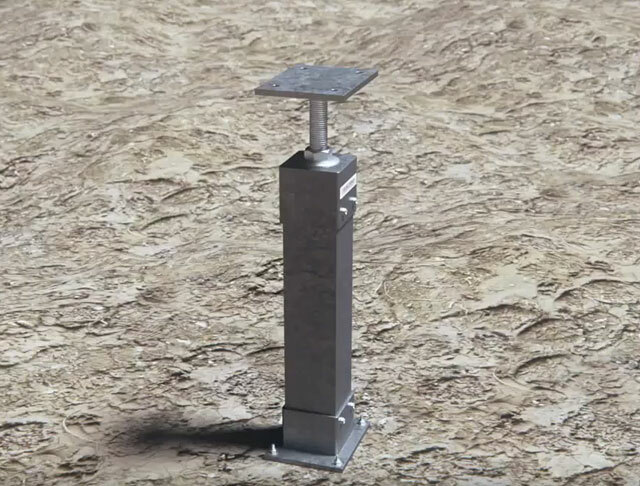 LevelMaster’s house stumps are made with quality steel and covered to avoid damage from exposure to the elements. 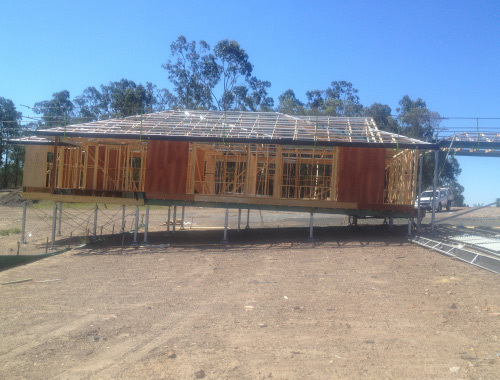 The stumps and bracing are also form 15 and form 16 compliant, ensuring any product delivered will be up to the standard of all building laws. The LevelMaster load bearing is direct on a solid plate which is a stronger design than any equivalent in the marketplace. 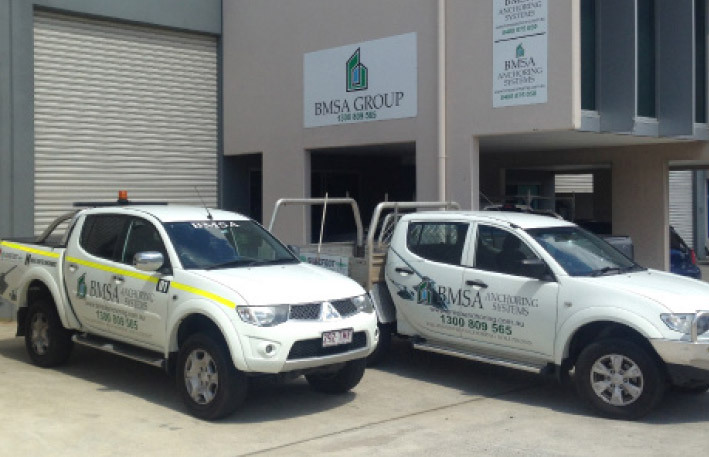 We ensured this by giving our products to multiple engineers and then the Queensland University of Technology. They were tasked with breaking or finding fault with our stumps. 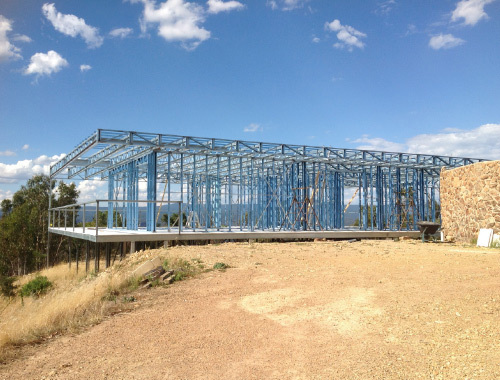 The designs passed with flying colours and full engineering certification. With an experienced team and stock on hand we pride ourselves in the ability to have stumps accurately made up and shipped within 2 business days. This is achieved without any compromise to the end result, we do it once and we do it right. The unique design of Levelmaster stumps allows for an enormous 120mm of adjustability. Height with traditional house stump levelling is only 50mm putting you at a disadvantage during install and after any soil movement. 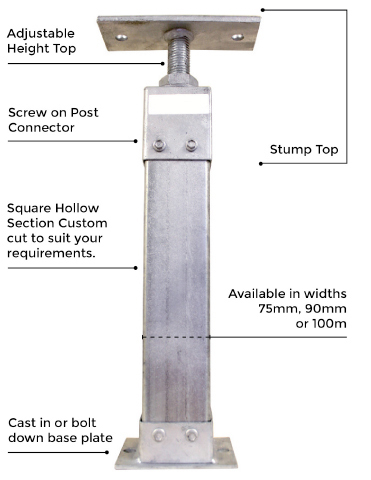 Our stumps are not the only thing that is adjustable, we offer many stump variants including; SHS or Screw pile posts of 8 different sizes, weld on or screw on connectors, bolt down or concrete in, and 12 different tops. Still need something different? Get in contact for any custom fabrication. 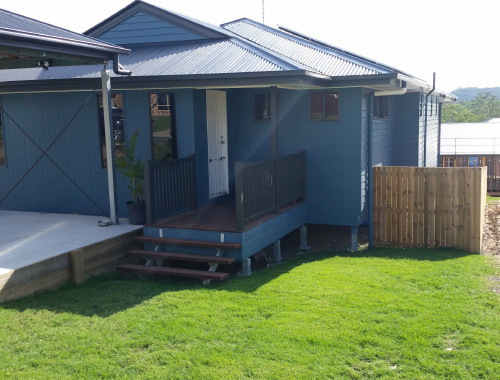 LevelMaster’s products are all accurately prefabricated so there is no need for an onsite fabricator like traditional methods of stumping.